Hollywood actress Hope Hadley doesn't think that things can get any worse for her. In the last 24 hours, her boyfriend has broken up with her, and her long-running police procedural TV show has been canceled. When a homicide detective shows up at her door the next morning with news that her ex-boyfriend has been murdered, she realizes that her troubles are just beginning. USA Today best-selling author! After a traumatic life event, Georgie Tanner returns to her hometown to start her life over...at 31 years old. Add sporadic memory loss to the mix and Georgie is a certified hot mess. Luckily, Aunt Cecelia is there with a job for Georgie. She might not feel able to take on the world, but she thinks she's up for taking tourists through Gainesville, Pennsylvania's historic downtown. 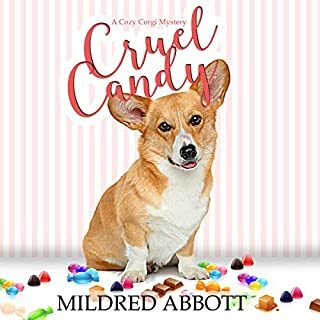 Hollywood has always been a cutthroat industry, but for Sophie Paulson, the backstabbing turns personal when her movie producer boyfriend, Paul Franklin, dumps her for another woman, then fires her out of the blue. Former actress turned amateur sleuth Hope Hadley arrives in town just as Paul is found murdered and the police suspect Sophie of the crime. Hope desperately races to discover the truth before her friend Sophie is put in jail for the rest of her life. 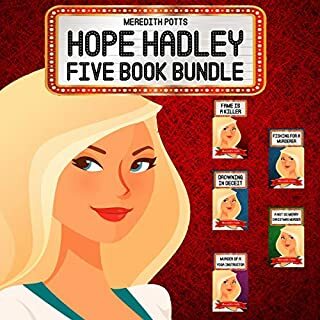 All of the Hope Hadley books can be listened to in any order. This is the first Hope Hadley audiobook I have listened to. Stephanie Quinn does a wonderful job with the narration. I like Hope's intelligence and savvy, and her character is well developed. Hope travels across the country to help out her childhood friend - what an amazing thing to do! The storyline is great, and has plot twists that leave the listener guessing to the very end. Looking forward to more Hope Hadley. I receive a promotional copy of this audiobook, and this is my honest review. I really enjoyed this book and the story line. it was easy to follow and was interesting ! 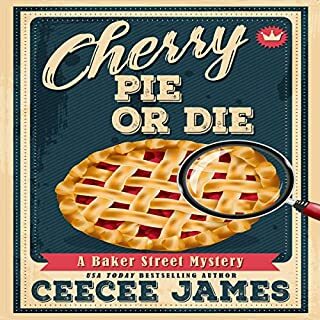 would definitely recommend if you are in search of a short murder mystery to listen to. Great book. Hadley goes to visit a friend and then her friend, Sophie is accused of murder. Hadley does not believe Sophie is guilty. So she investigates to prove her friend innocent. I love this series the characters are great and the stories are great. The narrator did a great job. I was gifted this book in exchange for an honest review. Murder of a Movie is the 8th book in the Hope Hadley Cozy Mystery Series, but it stands alone. Hope helps her friend by investigating a murder in which the friend is the prime suspect. 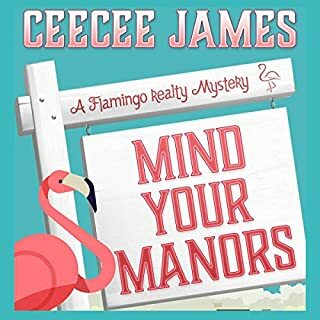 Fun short cozy mystery I was gifted a copy of the audiobook in exchange for an honest review. 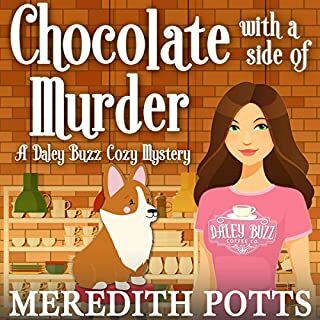 My twenty-first short read/listen from author Meredith Potts, A cute, well-written & enjoyable clean cozy mystery, the eighth in this series. I was given an Audible copy of this book & am voluntarily reviewing it. I was impressed and enjoyed the vocal variety & inflections of narrator Stephanie Quinn. I look forward to reading more in this series & from this author. (RIP Marley January 20, 2014 - July 24, 2018). Murder of a Movie Producer was a great quick read by Meredith Potts. Sophie finds out that her boyfriend Paul is a backstabber when he dumps her for another woman. Unfortunately for Sophie he turns up dead. Hope desperately tries to find the murderer. This was another great read by Meredith Potts. Hope goes back to Hollywood, CA to visit her very good friend only to find that the woman has really changed. The next bad surprise is that this friend has been arrested for murder! So Hope goes on the sleuth but is blocked at every turn. After a phone call to her detective brother in Hollywood, FL she has new insight and solves the case. A comfortable short read! Stephanie Quinn does a great narration of the interesting characters. This is such a different story from the previous ones, and we'll get to see Hope under a new light, under circumstances that are really hard for her. I don't want to spoil anything, so I'll just say this is a great story, with an unexpected twist at the end. I liked Stephanie Quinn here, particularly when voicing Hope, although some of the other voices sounded a bit rough. New favorite in the Hope Hadley series! I'm not usually into narrator changes in the middle of a series, but I was pleasantly surprised when I heard the softer, more feminine voice of Stephanie Quinn in this episode. More personal preference than anything else, I like that Book 8 portrays Hope in a different light. She doesn't sound so "rough around the edges" anymore. Quinn does an excellent job, and I hope she sticks around! 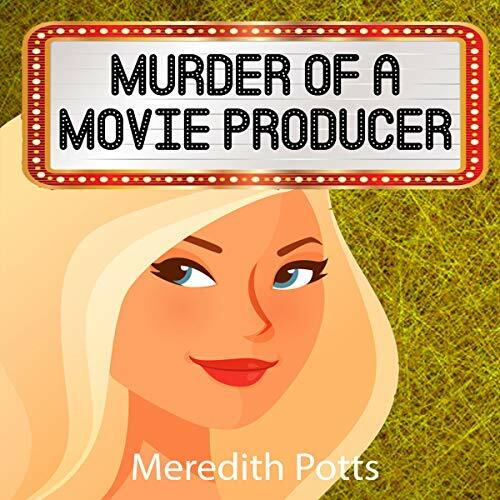 As my new favorite in the Hope Hadley Cozy Mystery Series, I rate Book 8, Murder of a Movie Producer by Meredith Potts, narrated by Stephanie Quinn 5/5 stars! Hope ran this case pretty much on her own, and I like how it not only kept me guessing through to the end, but also surprised me (I really didn't expect it to end that way - loved it!). 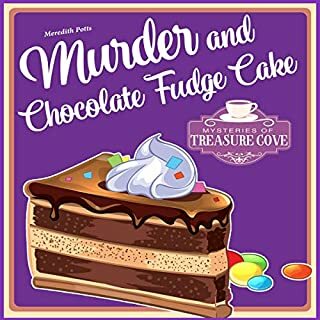 I recommend this audiobook to cozy mystery fans and/or those looking for a short, complete mystery to enjoy as relief from your busy schedule! Happy listening! Thank you for reading my review. I hope it was helpful.